Pacific NW Homebuyers are challenged by the fast paced real estate market, this includes Seattle, Bellevue, Redmond, Kirkland and Eastside. 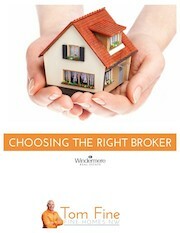 Homebuyers are bidding on homes, many are bidding on 6 or more times and not being successful. It’s sad to say, without a great REALTOR, I’m not inflating anyone’s ego; there must be a plan to win in this market. Otherwise, many of them are wasting their time and energy, by bidding on these properties and spending money on inspections. If a home looks good and is priced reasonably it will have multiple offers, it can go from list price to over $100k over list in a heartbeat. The key is to position yourself so you are patient and looking in the area that makes sense for your lifestyle and your budget. My clients have been fortunate to be successful in wining on the bidding process with the great attitude and plan. Don’t get me wrong we are not just walking in a property and winning, it takes a wining combination and if my clients are willing to participate then we have a great chance at getting them the home of their dreams in this market. To discuss how Tom Fine can help get you into your home or sell your home to get you where you want to be, contact Tom Fine at tomfine@windermere.com , call or text, whichever is your preference at 206-434-6561. Tom Fine works with Windermere Real Estate and is a real estate broker and a REALTOR and working in the Mercer Island office, a couple minutes from downtown Seattle, Washington. Serving Seattle and the Eastside market.